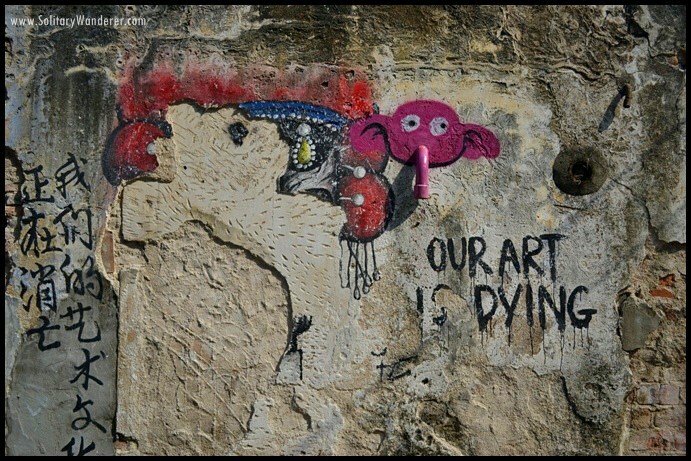 “Our art is dying,” an anonymous street artist laments in Penang, Malaysia, appropriately enough, on a peeling wall that is probably gone now. At first glance, it seems to be true. Penang, the queen city in Asia for street art, has a lot of its art already faded, with only photographs taken by visitors in the past remaining to remind us of what used to be there. Indeed, this is the nature of street art, and the reason for its charms: no matter how beautiful it is, it can be easily painted over or destroyed. It’s destined to be short-lived. Unlike traditional works of art, protected from the elements and the occasional philistine who wants to destroy works of beauty, street art by its very nature is ephemeral. It lives at the mercy of the general public, its beauty its only protection against willful destruction. A “dying” street art in Penang. 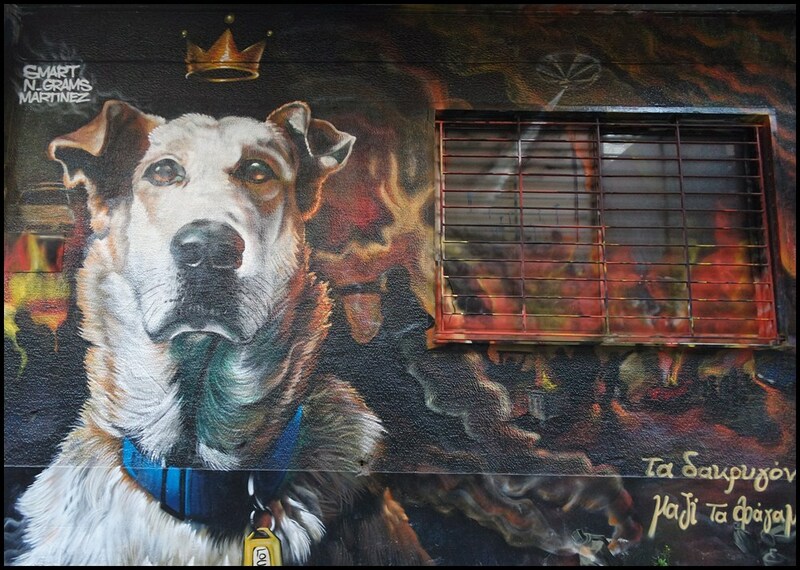 When I received a guest post for my Visit South America series about the best places to see street art in South America, it inspired me to come up with a post as well about the best places to see street art in Europe. The response was so good I decided to do another one, this time focusing on Asia. 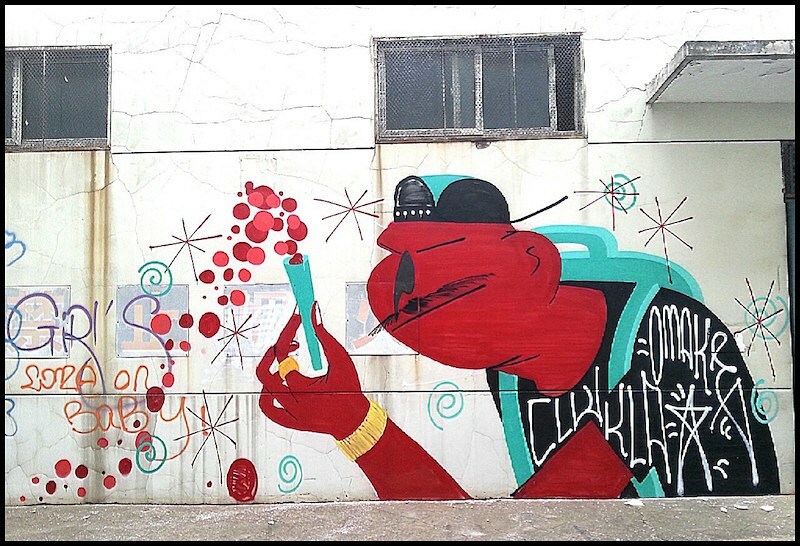 Here, then, are my fellow travelers’ favorite cities for street art in Asia. 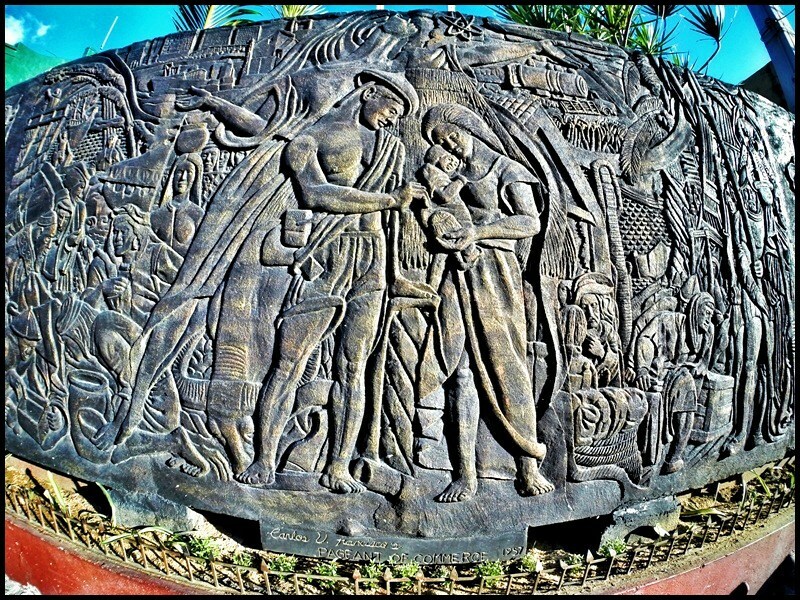 Artists proclaim Angono as their paradise. Art connoisseurs think of it as a haven. The entire Filipino nation hails it as its Art Capital. What with two National Artists calling it their home, it is not surprising that, in every corner of the lakeshore town of Angono, one will find evidences of a culture teeming with creativity and imagination. 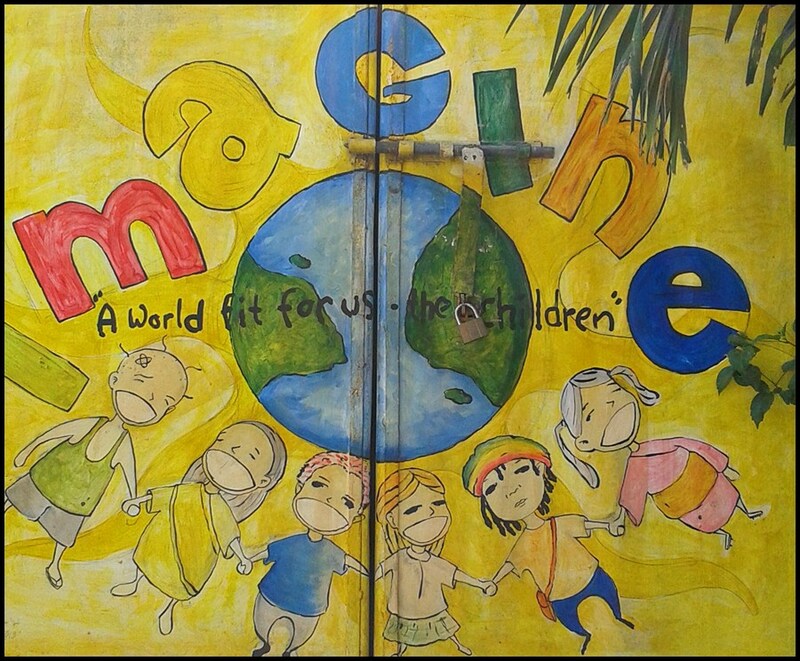 One such evidence is the “Art Gallery on the Streets” – a collaborative project of Angono’s community of local artists. This classic and sophisticated take on street art features relief sculptures copied from the works of Carlos “Botong” Francisco, and a carved sheet music of the popular lullaby “Sa Ugoy ng Duyan” by Lucio San Pedro. Canggu (pronounced Changuu) has become the hot spot for surfers and hippie types in Bali. 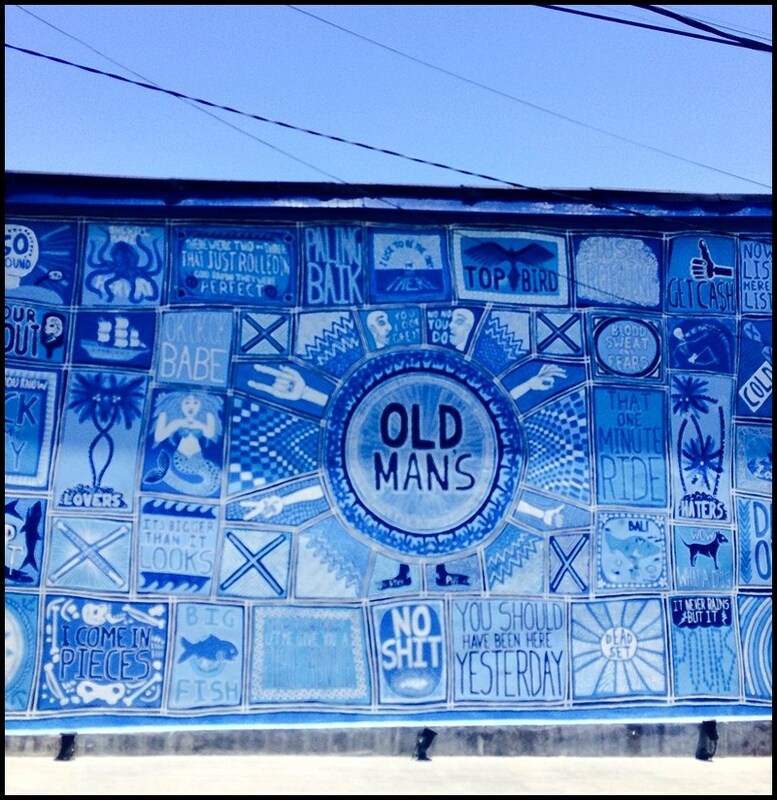 With an assembly of different nationalities gathering in the village, the place to meet is Old Man’s on the beach front. Old Man’s has become a type of UN headquarters. In this big, open surf bar/café, you will hear friendly and laid-back voices from all over the world. Not only is Canggu a mecca for surfers, but throughout the day and night, musicians play, artists draw, and poets muse. Beijing was on the top of my list of cities to visit on my first trip to China. Home to some of Asia’s prized historical treasures, the Great Wall and Forbidden City to name a few, who would have thought that one can also find street art at this ancient city? I made my way to 798 Art District (also called the Dashanzi Art District) situated north of Beijing. A former home to factories owned by Germans, it was deserted during the early 1990s and was eventually transformed into a bustling art community by local artists and cultural organizations. This is probably the hippest and most laid-back part of Beijing that I have seen, with streets filled with murals, sculptures, art galleries, cafés, bookshops, and even clothing stores. 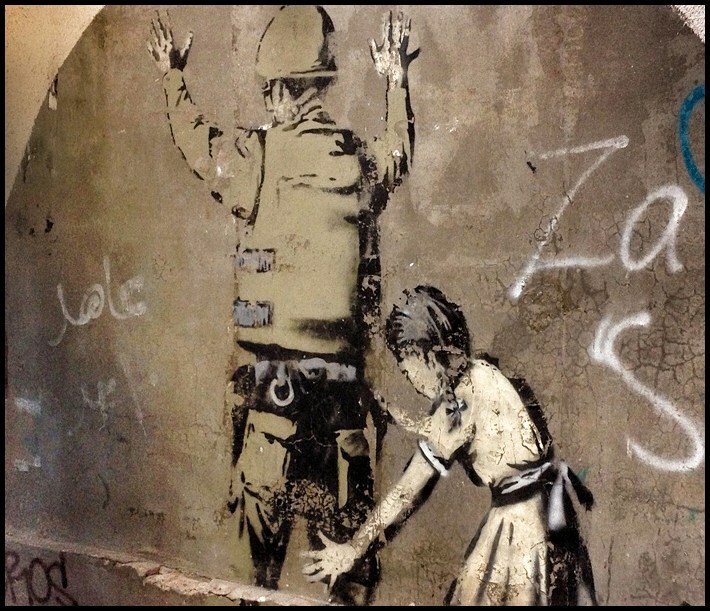 This street art is by Banksy, and I found it in Palestine by the hugely controversial separation wall, near Bethlehem. The whole wall is covered in some insane graffiti and street art, and it all has dark history and political theme. Chiang Mai is my favorite fairytale city. It’s because whenever I go there, the people, the food, the way of living is filled with positive vibes. Although unlike Melaka and other parts of Malaysia where street art is celebrated in such a way that it’s elaborately displayed and supported by the communities (neighborhood backyards are filled with beautiful street art), the ones in Chiang Mai are like those in ordinary cities…they just serve as decorations along side streets and empty buildings. This bird is somewhere in Sathitan area, a bit north of Chiang Mai. Pai is a Thai word that means go. 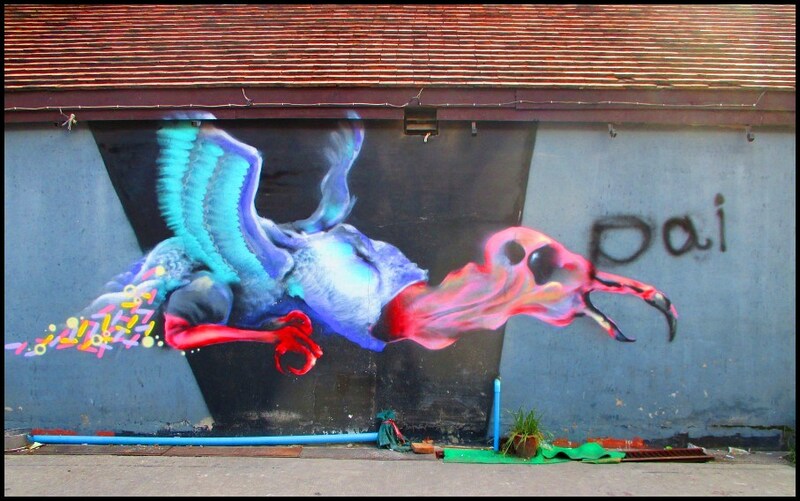 The street art of Chiang Mai, however, is different. They are not necessarily paintings but you can see art everywhere in the city from the street lamps, wood carvings of houses, to the elaborate temple decorations…this is how Chiang Mai celebrates it’s artistry. What would a country be without color and expression? And what would India be without its must-visit myriad hues? 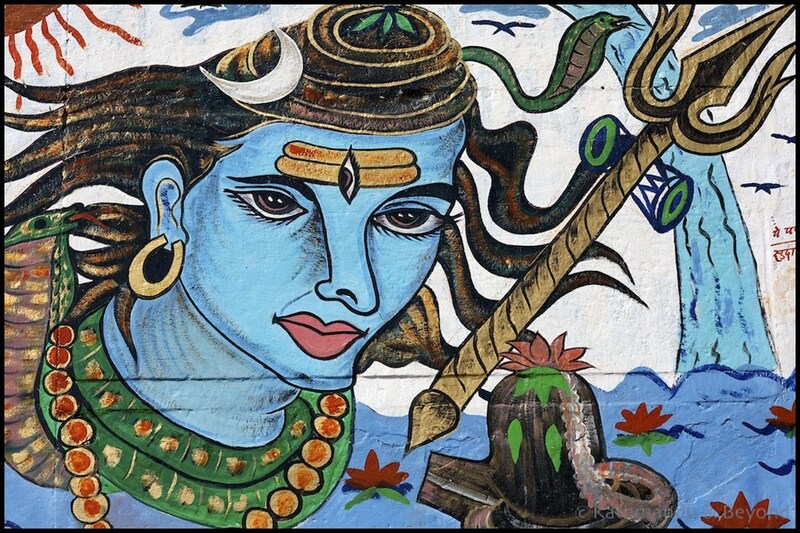 Adding on to India’s well-preserved street culture is the recent street art revolution in the country that is certainly evident in Delhi amid the lanes of Shahpur Jat and Hauz Khas village. Without a doubt, Deira remains the dynamic heart of the constantly-progressing and very future-forward emirate, Dubai. Located only a few train stations away from Dubai International Airport, Deira is a cosmopolitan place that houses a rich mixture of multi-racial communities that harmoniously exist with each other. More than a cultural melting pot, Deira in Dubai showcases art and creative expressions that are manifested fully even outside private and commercial galleries, basically along the back street and facade of Al Ghurair Centre, one of the most popular go-to-place for many in the city. 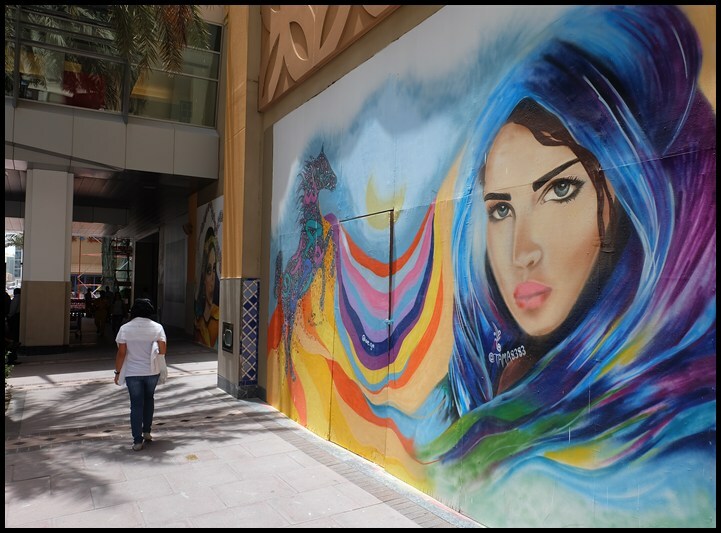 Al Ghurair Centre hosted the yearly Street Art Convention last April 2015. The successful event gathered and united both international and local artists who featured and highlighted colorful and varied interpretations of Dubai’s rich heritage and contemporary vibe. It is extremely rare to find street art in China so when our friend Macke showed us some of his work, I was a little shocked at first. Across the border in Hong Kong you can find street art everywhere, but in mainland China not so much. Istanbul is like a mosaic, a melting point of western and eastern cultures. Istanbul is like a secret door which invites you to experiment with your five senses. In Istanbul’s clubs you HEAR the music touched by Balkan, Anatolian, European, and Asian elements. In Istanbul’s restaurants and bazaars you TASTE and SMELL the food mixed with spices from all over the world. In Istanbul’s museums, mosques and churches you TOUCH the history of this old city loved and concurred by many civilizations and empires. And in Istanbul’s streets, you SEE the street art reflecting all these elements as a fusion and confusion at the same time. 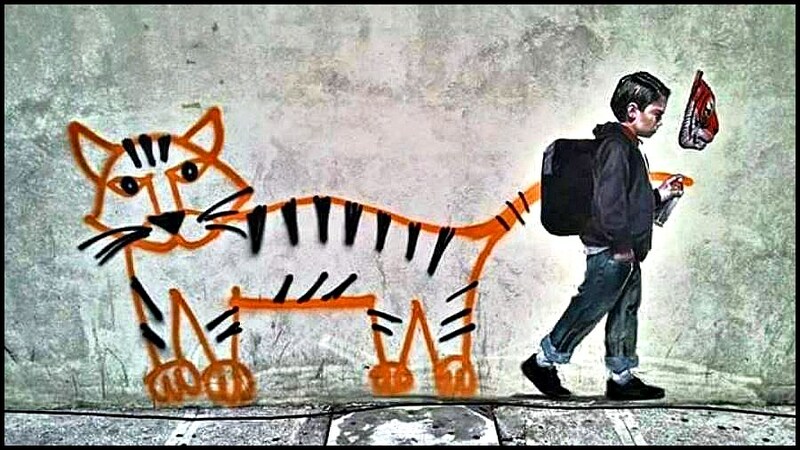 The street art in Istanbul is a political statement, a way of freeing your mind. It looks occidental but it sounds oriental. It is like a person who lives in Asia but works in Europe. The street art in Istanbul is as wise as a 100-year-old man, but still as vivid as a preschool child. It is hidden in narrow backstreets and shy as a boy at his first date. 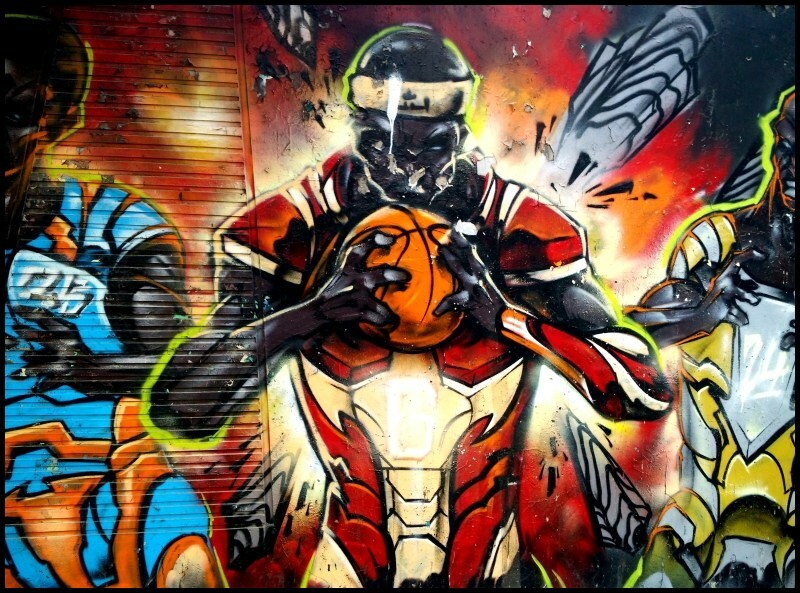 Most of the street art can be found in the districts near to Taksim Platz, Beyoğlu, Cihangir, Galata and Tünel. Also across the Bosporus, in Kadiköy you will find some real hidden gems. All these districts are the main veins of Istanbul’s cultural, intellectual and entertainment life. Kuala Lumpur is not only the home of Petronas Tower and numerous skyscrapers. 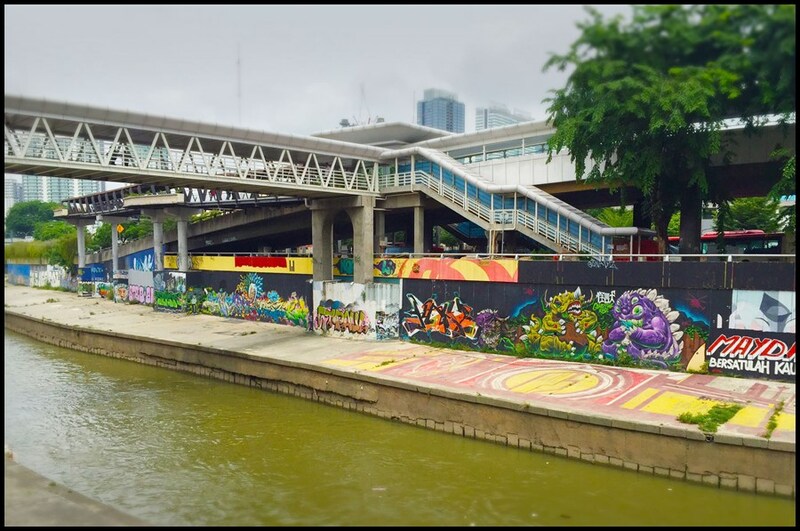 It boasts a unique street art gallery, too, that can be found at the banks of Klang River. 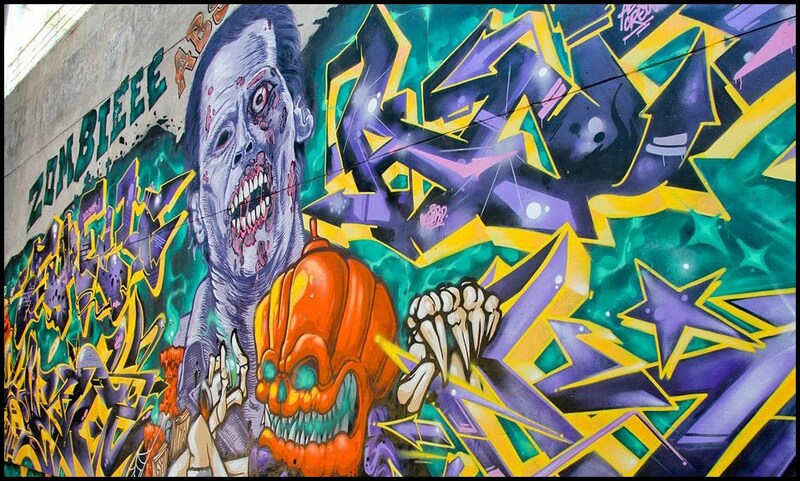 Sunga Klang Art Gallery, as it’s known to locals, has been a popular destination for graffiti enthusiasts. A few years ago, these walls had been the subject of vandalism until the local government collaborated with graffiti artists to turn these walls into a giant piece of art instead, then KulSign festival was born. The last event was held in 2012 to showcase the local artists’ vivid expressions and encourage their creative pursuits. When I arrived in Melaka (Malacca), Malaysia, it was Chinese New Year and as such the streets were very crowded. I was interested in seeing if I could find any remnants of British Colonial times there and what influences remained, if any. But because of the huge influx of visitors for the holiday I had to abandon my plans and instead take to the streets, join in and enjoy the festivities. Once I had had my fill and the crowds became too much for me I decided to try and find somewhere quieter to wander, so I headed down to the river, where I found myself all alone. The river walkway was deserted. Thankful for some quiet, I strolled along the banks and after ten minutes I was surprised to find that the houses had all been brightly painted with murals and graffiti. I felt as though I was walking through an outdoor art gallery. There were paintings of Indian gods, Chinese nobles and swordsmen, a giant waterwheel, as well as general graffiti tastefully done. 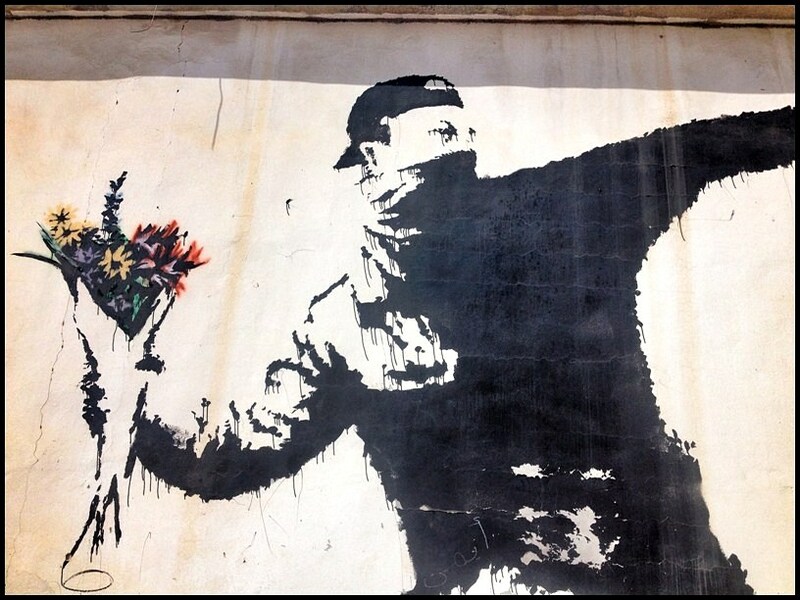 Besides beautifying our cities, the focus of street art is to bring art to the masses. It has a way of reaching out to people through its community. Unlike graffiti, street art is more focused on people walking by and the spreading of ideas. 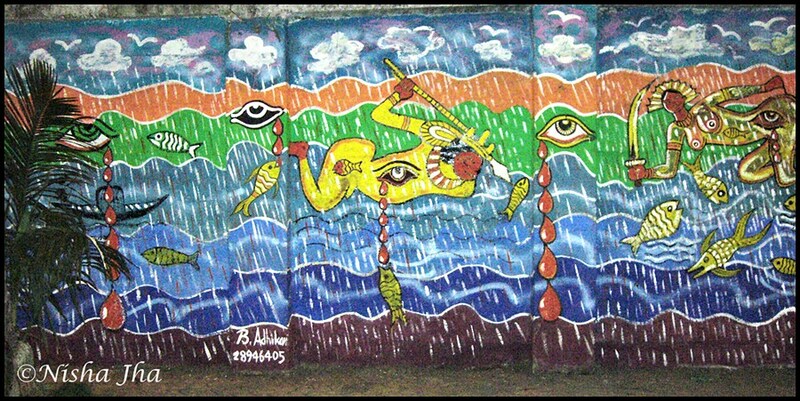 From subways of New York to Poland, Libya and the Berlin Wall, street art has transcended into India. In Mumbai, the walls were getting old, wore a dirty look and the residents didn’t have the money or probably the inclination to maintain them. So a group of four artists from the National Institute of Design decided to breathe life back into these walls with paint, brushes, and ideas. 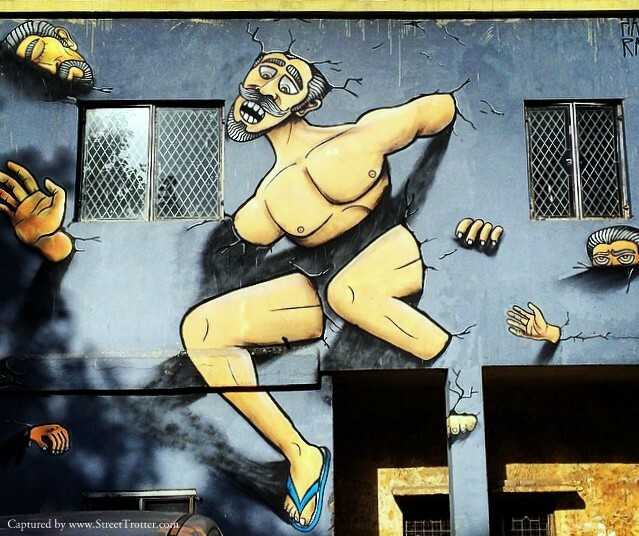 The Municipal Corporation liked these efforts so much that in order to avoid posters being stuck on walls and dirtying of walls along, they commissioned artists to paint a 2km-long stretch of wall in Mahim. Each artist was given a ‘piece’ of wall to paint as per his or her wish. The messages were clear. From save the water, environment, and earth to stop girl child abortion, child labor and art, music and local culture, the walls said all. 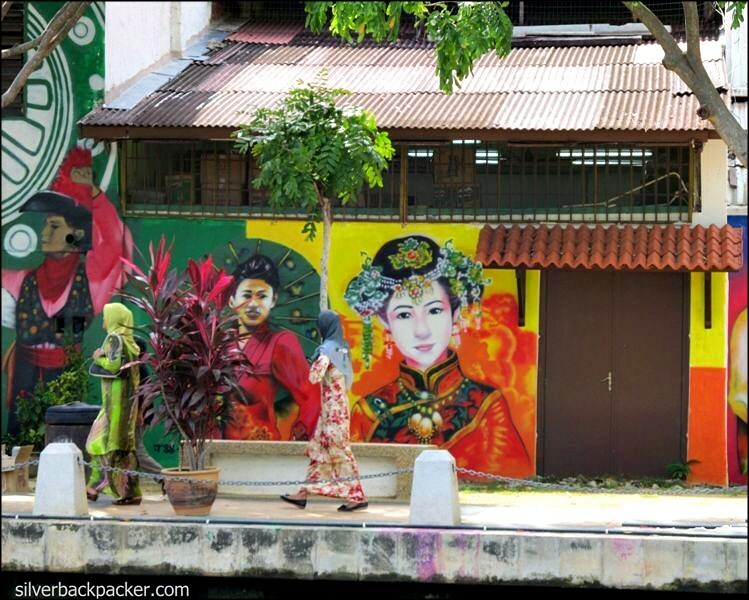 One out of many reasons why to travel to Penang in Malaysia is surely its street art. Peculiar works of Ernest Zacharevic are pretty well-known among street art lovers, but more new names and colorful works have appeared in the town recent years. The one we liked a lot is a mural of two Malaysian artists Jim Oo Chun Hee and his partner John Cheng. 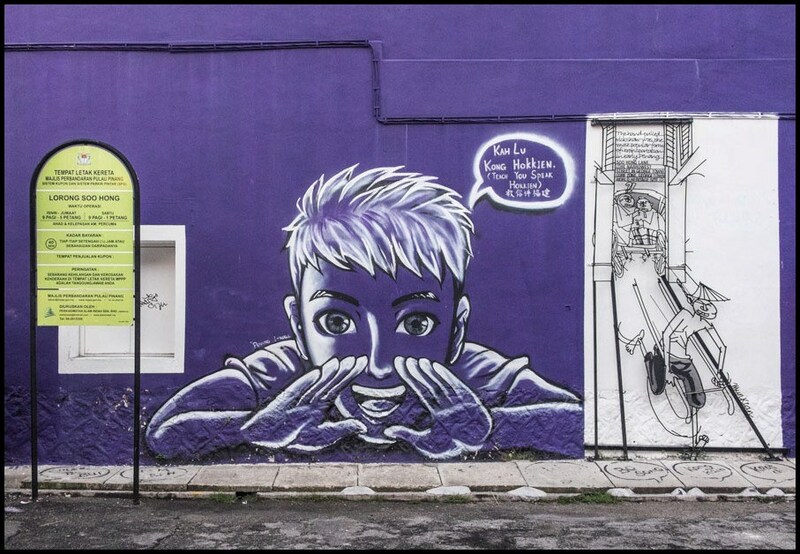 Their striking purple mural was created within two hours and the artists used both spray and acrylic paint. The mural was made with the aim to help travelers learn the Hokkien dialect. Apart from the visual invitation to learn Hokkien from a boy on the wall, you can find some practical Romanised Hokkien expressions on ten concrete drain covers at the bottom of the work that are slowly fading out. Puerto Galera is one of the best diving and snorkeling destinations in the Philippines. Its marine life, white sand beaches, and the rich culture of its indigenous people attract many local and international travelers. The fact that it’s also just a few hours from Manila, the capital, make it one of the top tourist spots in the Philippines. In the village of Aninuan, adjacent to the popular White Beach, lies Stairway Foundation, a learning and resource center for children’s rights. The non-profit’s emphasis on the importance of art in children’s lives has turned the whole compound into a veritable art gallery. The walls of Camp Aguinaldo, the home of the Armed Forces of the Philippines (AFP), now holds the longest peace mural in Asia and even in the whole world. 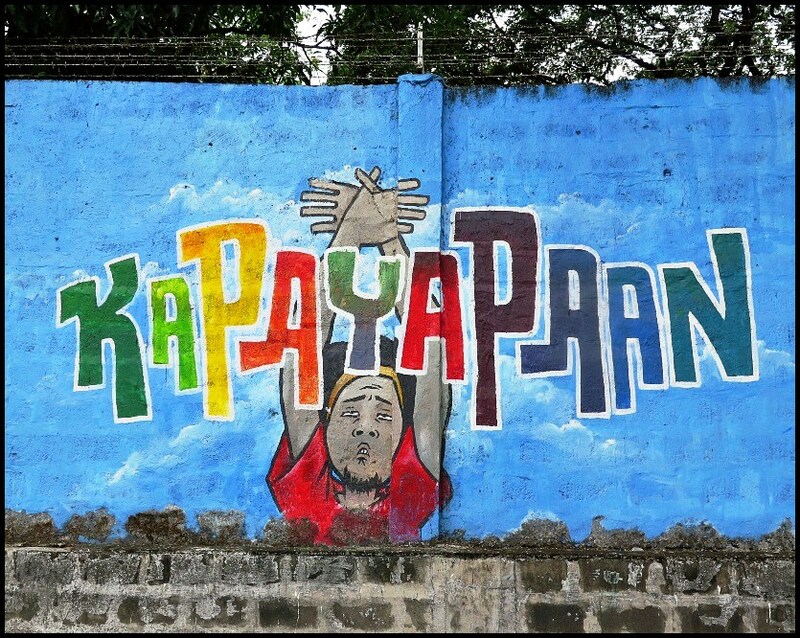 The project, dubbed as “Lakbay para sa Kapayapaan sa EDSA” (Journey for Peace in EDSA), now has every meter of the 3,770-meter wall covered, all the way from EDSA to Bonny Serrano Avenue and White Plains. A joint collaboration between the Asia America Initiative, the AFP, Office of the Presidential Adviser on the Peace Process, Dolphins Love Freedom Movement, and Metro Manila Development Authority, the mural hopes to serve as an avenue to create more awareness on how every Filipino can be part of the peace-building process. Seoul’s metropolitan area is over 25 million people, making it perhaps second largest in the world, after Tokyo. It grew so quickly though, that visually speaking, Seoul can appear colorless. Climb up into the hills and all you’ll see is white and grey high-rise buildings, stretching out forever in each direction. You need to look closer to see the color, and a great place to start is Hongik University, Seoul’s top liberal arts school. The area around Hongik University is called Hongdae, and it’s a favorite spot for hip Koreans to party until the sunrise. During the day, you’ll find a lot of coffee shops, Korean barbecues, and of course street art. 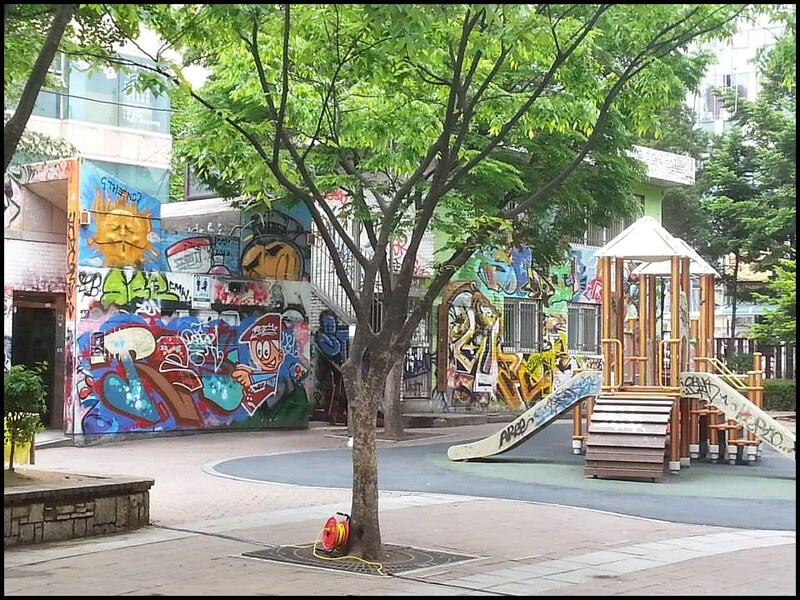 Shown in the picture is Hongdae Park, a small children’s park that is covered by urban art. At night it’s where the university crowd goes to hear live music, eat street food and drink soju (Korean rice liquor) before hitting the bars. From the murky, grey waters of Suzhou Creek in Shanghai, rises a triumphant and alternative side to this glitzy city. There are no pristine shopping malls and overpowering skyscrapers here. Free to express themselves as they please, the Shanghainese let their creative rays burst through derelict buildings, crumbling warehouses, and piles of hazardous rubbish. The result is a wonderfully eclectic mishmash of political art, edgy graffiti, soothing scenes of tranquility versus challenging mayhem. M50 may look like the back end of nowhere, but it is Shanghai’s artistic freedom all in one place. I like street art because I don’t need to go to museums to see it. It is very accessible and easy to appreciate. It doesn’t need to be complicated to give life to an otherwise dull corner. I was on the bus in when I saw a giant mural in progress inside Bonifacio Global City (BGC), a business district in Taguig where everything seems to be happening. They were installing new art pieces as part of a weeklong festival called ArtBGC One which aims to enhance the arts and culture awareness of the community. BGC does take art seriously. Even the trees are kind of wrapped with art! There are a number of installations and murals, and they keep adding more. The Bitan Scenic Area in Taipei is a popular getaway near the MRT Xindian station, a place to enjoy the beautiful scenery in the city. Visitors arrive in Bitan to paddle along the river, or gaze at the mini light-show created by the random effect of the illuminated light beams of Bitan Suspension Bridge at night. As an added treat to both visitors and passersby, however, this riverfront park is also home to the Xindian walkway brick wall, an innovative and modern street art in Taiwan. 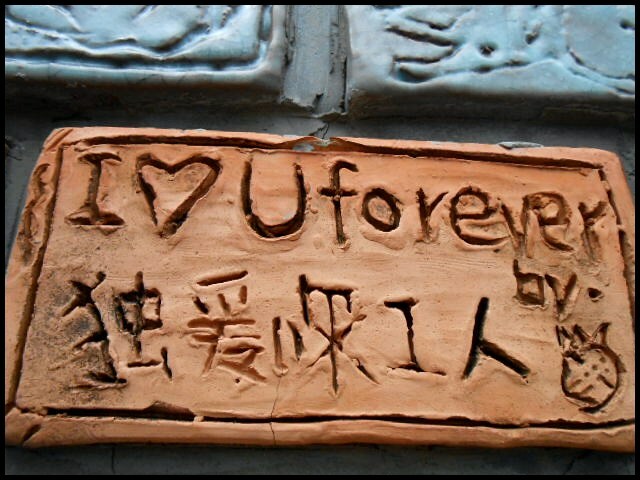 Since graffiti in Taiwan falls within the gray area of either vandalism or art, the park’s walkway is decorated with personalized red brick reliefs worked right into the wall. 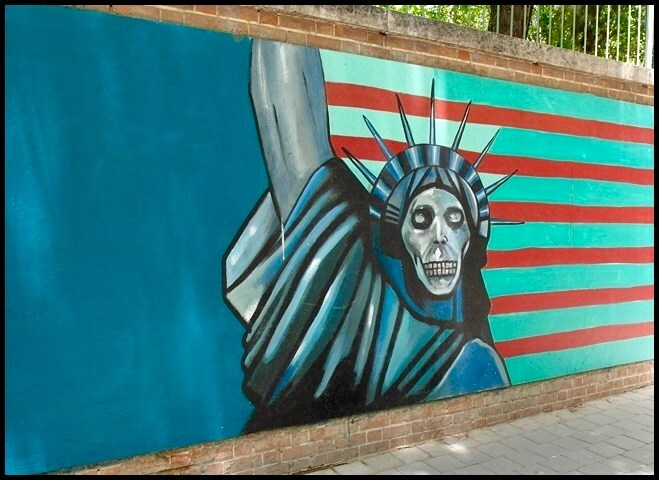 A must-see for every traveler to the Islamic Republic of Iran is the former U.S. Embassy in Tehran, now referred to as the U.S. Den of Espionage. It was overran during the revolution by an angry mob of young Islamic revolutionaries on November 4, 1979, with the outcome that 52 diplomats were held hostage for 444 days and the Embassy was closed until today. For many travelers, Varanasi conjures a certain image. It’s a highly spiritual place with a very special atmosphere. Watching the sun rise and set on the banks of the River Ganges is an essential experience and its shore temples are a much photographed sight. But there is another facet to this vibrant city. As if Varanasi isn’t colorful enough, it is also home to some of the most vivid street art I have seen anywhere in the world. Steps, known as ghats, lead down to the water and alongside the path to the steps many of the walls and buildings are covered with bright murals. 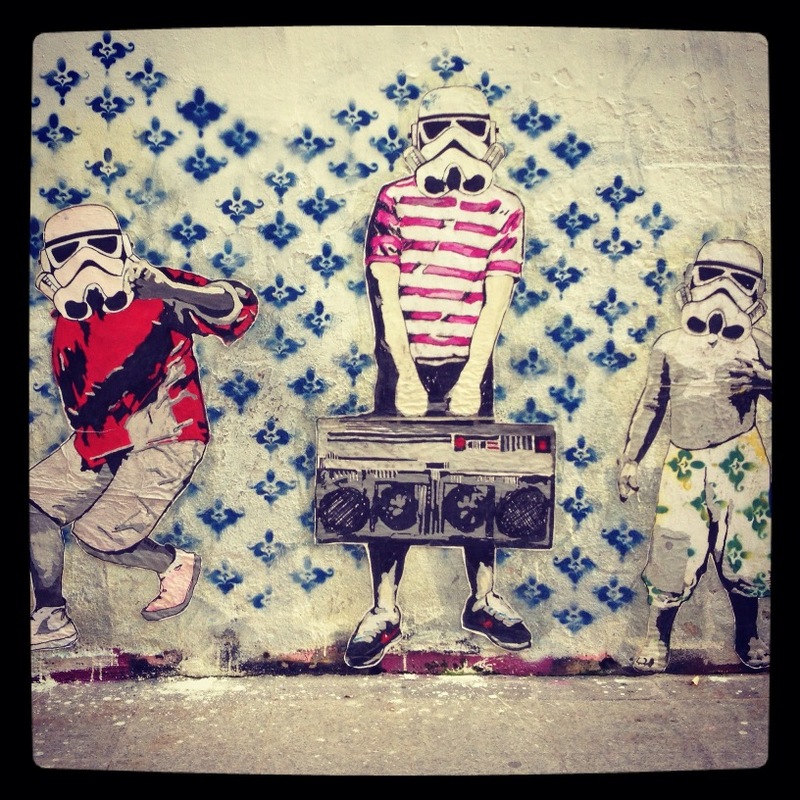 There you go, 21 cities with great street art in Asia. Have you been to any of these? What city is your favorite? Where is Angono, if I may ask? This is great! Surprisingly enough, the cuddies and sketchy streets of Dasmarinas, Cavite has some hidden interesting graffitis. Love this! Such an inspiring list and hope i can go one day!!! Appreciate for including our entry Aleah. Surely Asia boast some of the captivating Street Arts in the Worlds. I agree that Asia has so many cities with great street art. Wish I can visit them all someday! Thankyou for inviting me to include a piece about Malaka Street Art, Aleah. I agree with Paula, that cities should adopt street art to brighten up the dull concrete that blights the urban areas of the world and let local artists express themselves. I’m happy to see more and more street art cropping up everywhere, Dave. Perhaps the people’s view of it as an eyesore is changing. I’m always amazed at the amount of talent these street artists have and how effective their art is to people. I’m amazed at their talent too, and their willingness to show their art outside traditional venues. I’m surprised to see street art thriving in China, Alice. Never seen one when I was in Shanghai and Beijing a few years ago. Thanks for including us. I love all of the street art featured here. Street art needs to be mandatory for every bit of ugly bare concrete in every town and city. It just brings so much life and humour to an area. Great idea. Agree! Thanks for contributing, Paula. I love street art. Iy adds another dimension to a city. Dull concrete can be transformed into colourful murals. One of my favourite places is along the river in Malaka, Malaysia. There are some really awesome works there. And thanks for including my picture as well.